Across Ohio, counties are coming up with innovative ways to repair the state’s aging voting machines, which would cost hundreds of millions of dollars to replace. In Darke County, an elections worker bought small springs from a farm supply store that he used to hold together a flap on voting machines. In Montgomery County, spare parts are cannibalized from dead machines and pirated from other counties to keep units limping along. And in Clark County, maintenance costs keep climbing on machines built long before anyone held an iPhone. “It’s time for a replacement,” said state Sen. Frank LaRose, a Hudson Republican who is sponsoring a bill that will spend somewhere between $90 million and $118 million on new voting machines for all 88 Ohio counties. Ohio purchased most of the current voting machines in 2005 and 2006 with nearly $115 million in federal Help America Vote Act (HAVA) money. HAVA passed after the 2000 presidential election exposed the critical need for upgrades. The 2,300 touch-screen voting machines used in Montgomery County were built in 2003 using “technology from the Blackberry days,” said Jan Kelly, Board of Elections director. Clark County, which has a paper ballot system, could limp through the 2020 election with the county’s 111 outdated devices that optically scan and tally votes, said Jason Baker, Board of Elections director. LaRose, who is running … for secretary of state in the 2018 election, is hammering out details on a pot of money for new machines and proscribe how much each county will receive in state funds. His original bill called for the state paying 80 percent while counties pick up 20 percent of the tab. The bill is likely going to be amended to carve out a set amount of money for the machines and a formula for distribution based on county size and number of registered voters, he said. Secretary of Sate Jon Husted pitched the idea that the state pick up 100 percent of the cost of purchasing machines as long as the counties pick the lowest-cost systems. “If they want to spend more on them, they can do that but we believe we can do this for a reasonable price for replacing all the voting machines across the state. That way we will have them purchased in 2018, tested in 2019 and ready to go for the 2020 presidential election,” Husted said. While federal money was used to purchase the bulk of machines more than a decade ago, Husted said Ohio won’t wait for federal funds to be approved. Congress is sitting on three bipartisan bills that address election integrity issues, including money to upgrade voting equipment. The County Commissioners Association of Ohio and Ohio Association of Elections Officials want the state to pick up 85 percent of the purchase costs and note that when a decade of operations costs are figured into the equation, it will turn out to be a 50-50 split between the state and counties. There are three systems: optical scan with a paper back-up, DRE machines and hybrids that include touch screens that use optical scanners for counting. If all counties selected optical scan, purchase costs would total $116 million. The price jumps to $182 million for DRE and $267 million for hybrids, according to the associations. 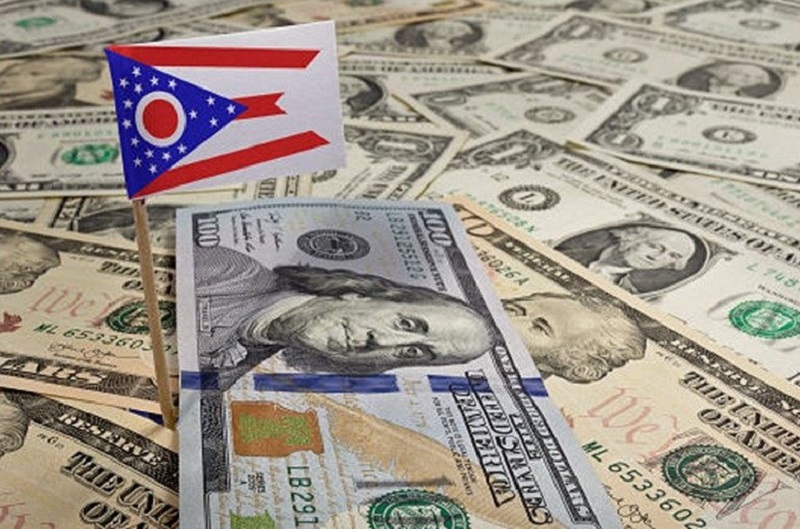 Be the first to comment on "Ohio Debates How to Share Costs of New Voting Machines"